PERHAPS the scariest thing about glaucoma is the fact that it exhibits no symptom: one day your eyesight is just fine, the next day your vision is already blurred or there are already black splotches off to the sides when you are looking straight ahead. Even the culprit behind glaucoma—the build-up of pressure inside the eye may develop slowly and painlessly, the person would not be able to detect it. And once symptomsare felt, it may be already too latefor the person.This is because when excess fluid pressure within the eyeball builds up to an abnormally high level, the optic nerve—the fragile bundle of fibers at the back of the eye that carries visual messages from the retina to the brain—gets so compressed to the point that it will be permanently damaged.Once this has occurred, the only thing that you and your doctor can do is slow down if not halt the damage that glaucoma has already caused. Once damage has occurred, it cannot be reversed.Interestingly, glaucoma is the leading cause of irreversible blindness in the Philippines, according to the Philippine Glaucoma Society, an internationally recognized leader in providing quality glaucoma care in the country through education, exchange of ideas, research and publication.With its vision, “That No Filipino will ever go blind from glaucoma’’ the Philippine Glaucoma Society has teamed up with Allergan to aggressively promote awareness of the disease. Allergan is a global, technology-driven multi-specialty health care company that pursues therapeutic advances in various fields including the delivery of leading products that address glaucoma.According to the Philippine Glaucoma Society, the only way to stop glaucoma in its tracks is for one to have regular eye screening. Considering that there is no single test to diagnose glaucoma, one has to undergo specific tests including the one that measures the inner pressure via an instrument called a tonometer. 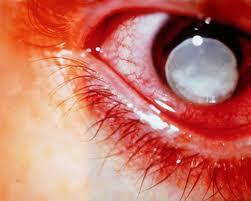 The instrument touches a very small portion of the eye and is usually painless. While a pressure exceeding the normal range of between 10-21 millimeters of mercury—especially if it is higher than 21 mm of mercury—may not immediately cause glaucoma, such high reading should be regarded as a significant risk factor. 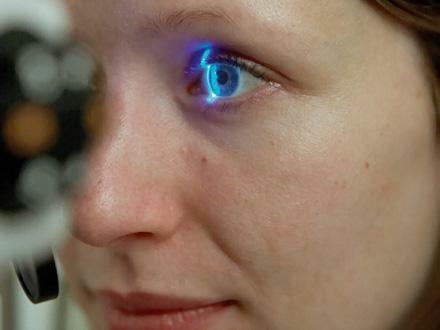 Other tests that may be recommended include ophthalmoscopy, which employs placing additional lenses in front of your eye to visualize the optic nerve. The bright light may cause some glare and discomfort. It may be necessary in some cases to dilate the pupils of the eye with eyedrops to enhance the view of the optic nerve. If the pressure within your eye is not normal or if your optic nerve looks unusual, then the doctor may ask you to take a few more more tests: perimetry and gonioscopy; perimetry, which is a test that maps out your overall field of vision (if glaucoma has been diagnosed, then this test should be done at least twice a year to determine changes in your vision); gonioscopy, which determines the status of the drainage channels of the eye with the use of additional lenses; and pachymetry, which measures the thickness of the cornea since it affects measurements of eye pressure.Once glaucoma is identified as the cause of the sight problem, the treatment that follows are all aimed to preserve whatever vision remains through the employment of regular eye drops, laser surgery or even conventional eye surgery.One should also remember that only a doctor, preferably an ophthalmologist, can pinpoint exactly if it truly is glaucoma that is ruining the eyesight. If an abnormally high eye pressure is detected, the doctor will usually perform the additional tests outlined above to verify if glaucoma is indeed present. While most individuals may experience no symptom, a few who were later diagnosed with glaucoma have previously complained of the following: episodes of eye and head pain, blurred vision, redness, headache, vomiting and seeing rainbows around lights.But even without experiencing any symptoms, the fact that one has a family history of glaucoma (especially parents or brothers and sisters) may merit special vigilance. Having a high reading of fluid pressure inside the eye, being aged over 45 years, a record of previous eye injury, been a chronic steroid user, diabetic may predispose one to developing glaucoma. Have your eyes examined regularly.